Having been in Germany over Christmas and New Year with rain and grey skies most of the time, I had quite some time to reflect on 2013, prepare for 2014 and get lots of writing done! 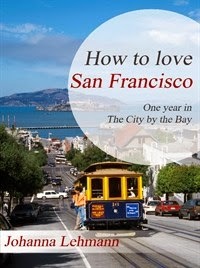 2013 was exciting: with "How to love San Francisco" being published and marketed in Germany, Austria and Switzerland as well as winning the Writer's Institute of Madison University and finding an awesome translator from Stanford University for the English version of "How to love San Francisco". 2014 will be all about the launch of the San Francisco novel in the English speaking markets. I really can't wait to get your feedback and comments on the book. And with quite a few of you I have already been in active discussions via Twitter, Facebook and email. 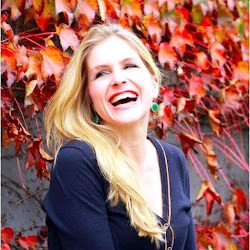 Therefore: Thanks a lot to all of you to visiting my blog frequently and following the story of Hanni Bayers in San Francisco. I have good news for you: over Christmas I had some time to prepare my upcoming Indiegogo Campaign and work on the book. More news on that in the next few days! My Indiegogo Campaign will be launched in the next two weeks and I am planning to launch the book in Q1 2014. The wait is finally over :)! In addition to that the English book cover is finished as well - I tried to keep it close to the German style. How do you like it? I you want to read an excerpt from the upcoming novel, visit me here.